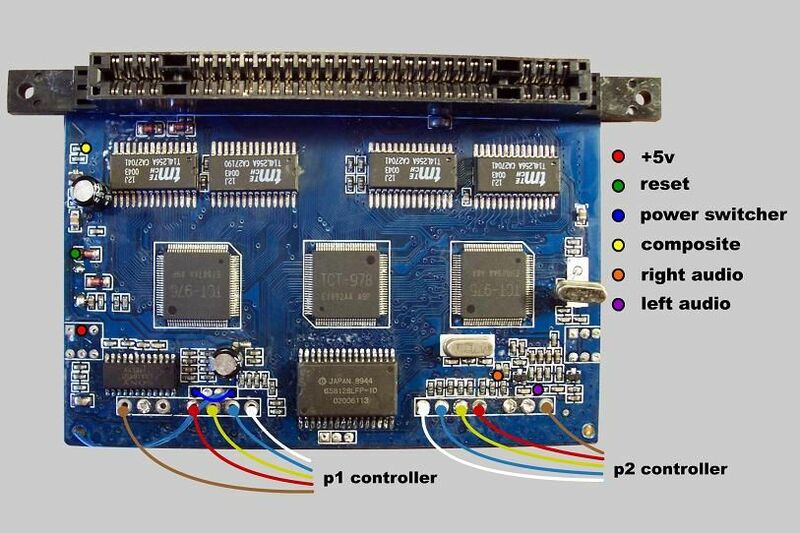 The Super Nintendo portion of the Retron 3 motherboard can be isolated and cut down for use in a fairly small SNES portable. 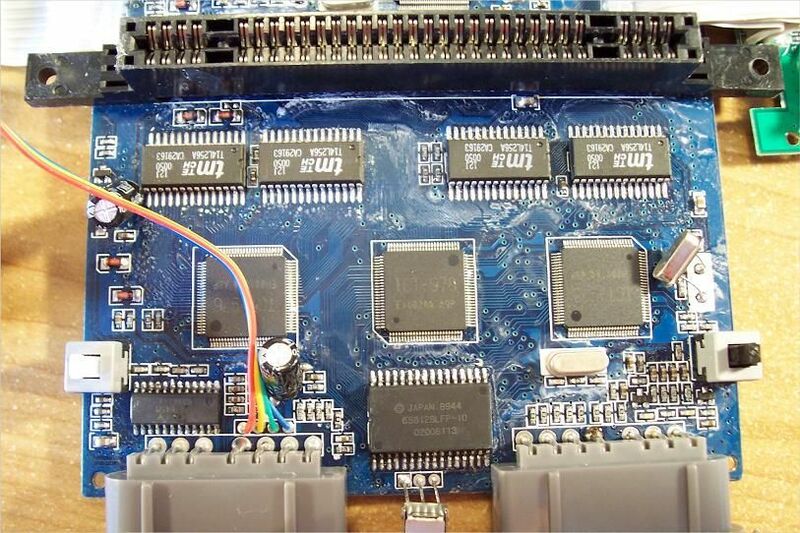 Close up of the SNES portion of the board. 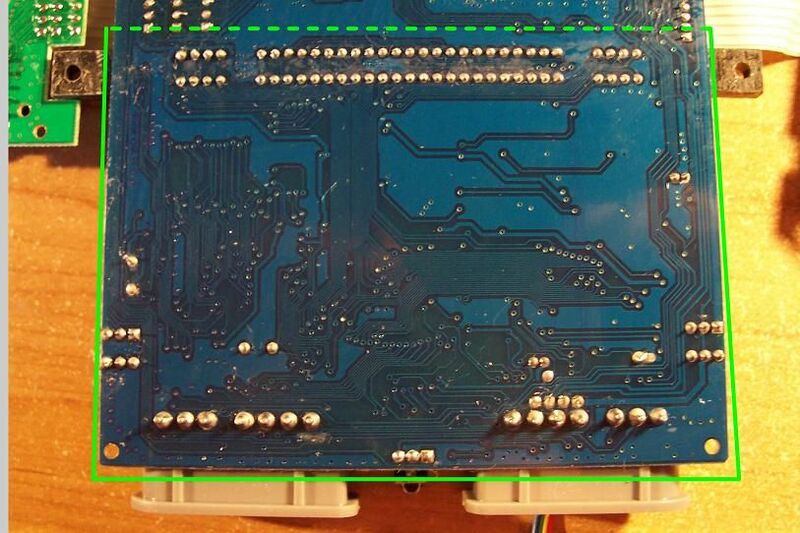 The green dotted line marks where the board can be safely cut without damaging the SNES portion. 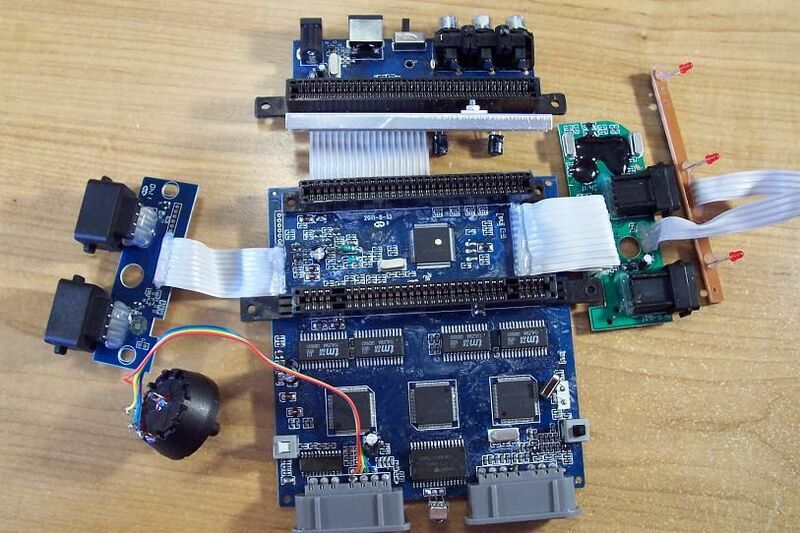 Note: Cutting the board here renders the Genesis portion useless. 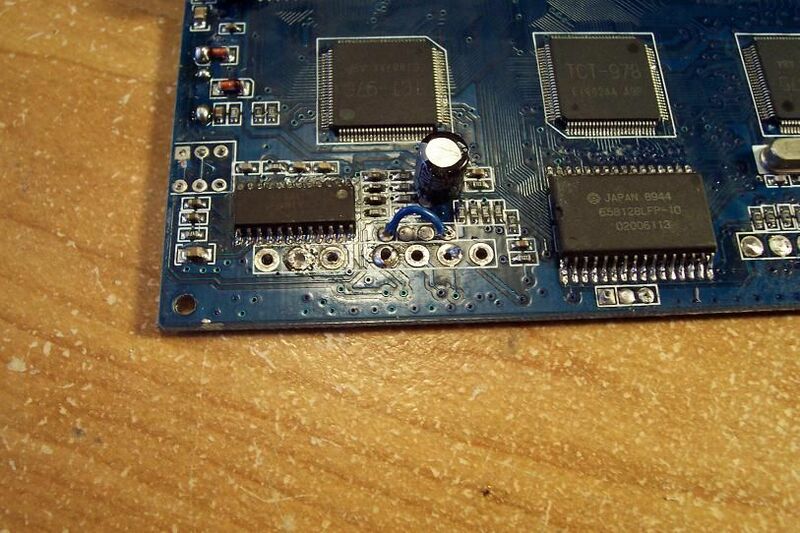 With the system selector dial removed, these two pins need to be bridged. 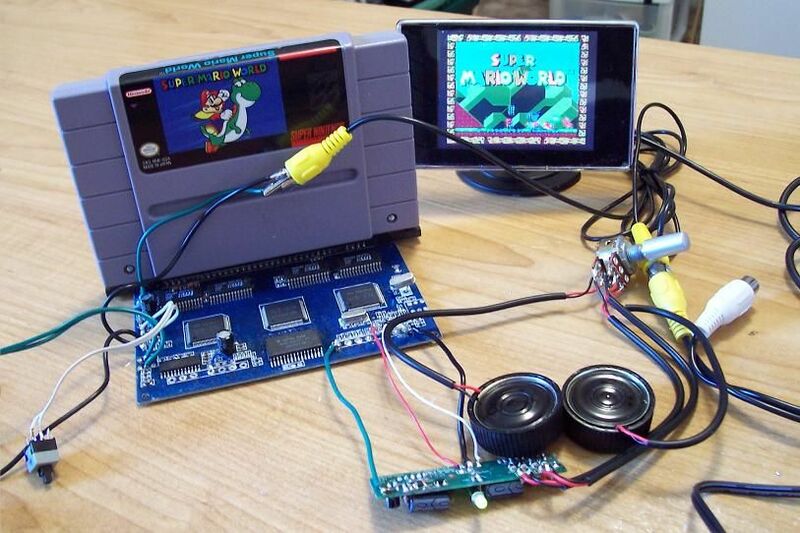 What's left is a functioning SNES system board that's smaller than a game cartridge.